This FM 2014 Player Profile of Maxym Koval shows one of the best keepers in FM14. He’s consistent and a great shot stopper. Good development in our test save saw Koval gain 17 reflexes, concentration and 16 for key stats like command of area, communication and composure. All this was achieved with limited first team appearances, so good human management would see the keeper grow beyond our screenshots. £11.5 million is a lot for a keeper, but that asking price could drop as the years pass by. Maxym Koval Age: 20 Position: GK Role: goalkeeper Club: Dynamo Kyiv Nationality: Ukrainian Value: £2.5 million Price tag: £11.5 million (in patch 14.3) CA: 140 / PA: 165 Maxym Koval profile in 2013 (after starting new game, 14.3) Maxym Koval profile aged 27 in the year 2020 Maxym Koval career history until 2020 This FM 2014 Player Profile of Maxym Koval shows one of the best keepers in FM14. He's consistent and a great shot stopper. Good development in our test save saw Koval gain 17 reflexes, concentration and 16 for key stats like command of area, communication and composure. All this was achieved with limited first team appearances, so good human management would see the keeper grow beyond our screenshots. £11.5 million is a lot for a keeper, but that asking price could drop as the years pass by. 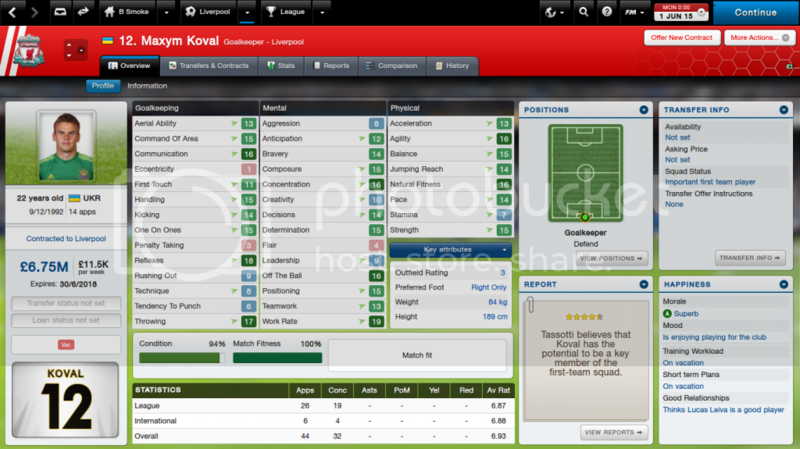 I managed to get Koval for 13m in the first season because he got unsettled. Has been really a gret young player for me who has made strides each season. Already a 3.5 star current ability player with 4.5 star potential in my Liverpool save. 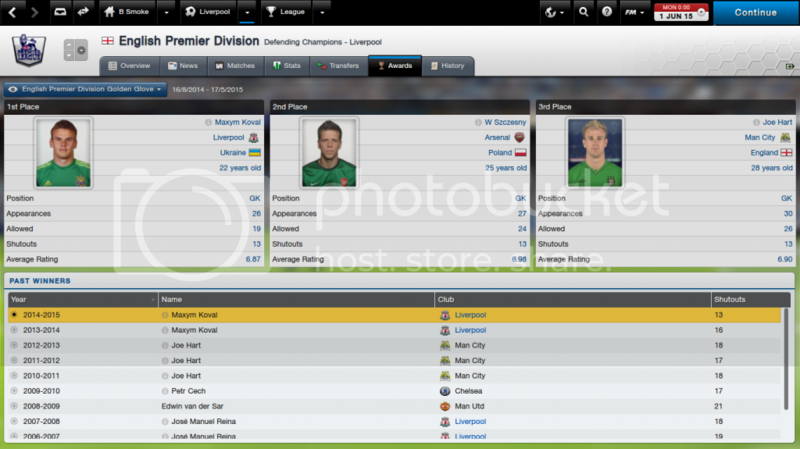 Most importantly he won the gold glove two years in a row for me in the Barclays Premier League! Quite the Keeper! If you can get him for a reasonable price, there are not a lot of young keepers I would take ahead of Koval in FM 2014! He’s certainly one of the best keepers available, as mentioned its just the price that can be a bit off putting. Here are his age 22 statistics, and with his high work rate, I think he will only get immensely better from here on out! I’ll post another updated screensht, once I ‘ve had him a few more seasons. But he is off to a very promising start!